As a beauty blogger I get asked all the time what my favourite products are. But, really it's all relative because what works for me doesn't necessarily work for you. Nonetheless, I also search the net and watch youtube for the latest beauty reviews because I love reading and watching about other experiences. And, I have found some favourites just from recommendations by others. Perhaps that's why Fashion Canada's yearly Beauty Awards are so popular. We love reading about beauty favourites! 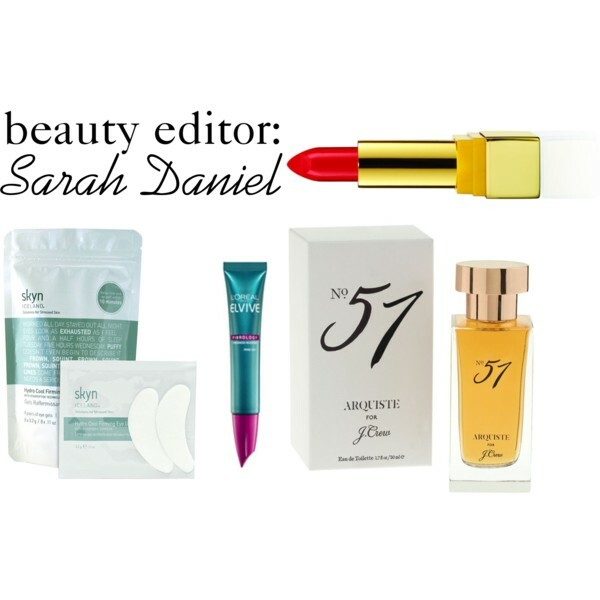 I recently interviewed Fashion Canada's beauty editor, Sarah Daniel. She shares her favourites and 2015 beauty trends. With over 130 best-of beauty products, women sure have a lot of products to choose from. What makes a beauty product a must-have? Hype? Blogger reviews? Every woman has her own criteria for what’s a must-have for her. Obviously there are cult favourites that transcend age and lifestyle, but in general, it’s what works for you and where you are in your life. Hype and great reviews by bloggers and editors can drive someone to try something new, but if it doesn’t do it for you, none of that matters. Generally North American women seem to like multitasking products and time savers, which is why categories like dry shampoo and BB creams have exploded. As a Beauty Editor you must test hundreds of products. Which were your top choices of 2014? J.Crew’s collaboration with Arquiste, M.A.C’s Prabal Gurung collection, Skyn Iceland’s Hydro Cool Firming Face Gels, and the L’Oréal Paris Fibrology line. Any major beauty trends for 2015? The big ones we’re seeing are beauty brands continuing to mine Asia for skincare innovation. Blowouts are feeling over thanks to all the air-dried hair and natural texture on the Spring runways. And of course the no-makeup movement that kicked off at Marc Jacobs’ show, where models only had moisturizer on. Lastly, any beauty resolutions for 2015? I know for myself I'm trying to be more selective in my buying choices so I stop accumulating products I don't finish. My beauty resolution never changes: take better care of my skin. It’s crazy dry these days, so I’m stockpiling hyaluronic acid-infused sheet masks, and coconut water. What 2015 beauty trends are you loving? For read the full Fashion Canada beauty Awards check out the winners.